If you want to make your party special by adding a special dish to the menu and get admiration from your guests, how about having an Alaskan King Crab Legs recipe? 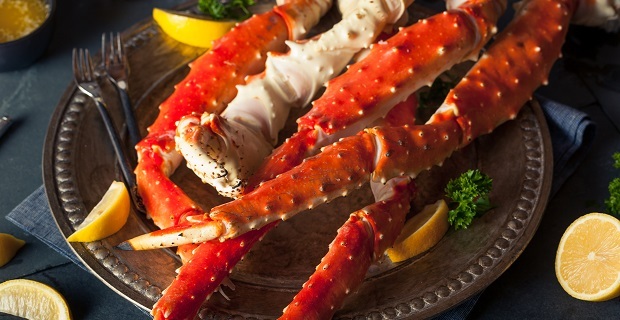 King crab legs have extremely tasty succulent sweet meat that add classiness to the meal and have the ability to make your menu colorful and interesting. Many people love seafood but unfortunately unless you live in a coastal area, you are highly unlikely to get fresh seafood. However, thanks to the internet you can now buy Alaskan king crab legs online and have a super delicious dish for you and your family and guests from the freshest of Alaskan king crab legs. It will be enough to buy 8 ounces to 1 pound of king crab legs per person. Thaw them overnight in your refrigerator. But if you are in a hurry, you can speed up the process by even thawing them under cold running water. Once thawed, king crab legs can be preserved in the refrigerator for two days. However, as soon as they have been defrosted, they should be cooked if possible. Actually king crab legs are already cooked when they come to you as they are cooked either on the fishing boats or right upon reaching the land in order to maintain their freshness. Therefore they just have to be sufficiently reheated before eating. Thus, unless you’ve bought a live king crab, the king crab legs have already been cooked. So, it’s just your favorite preheating method you should use to cook the king crab legs. The methods include microwaving, steaming or oven baking. They only take 4 to 10 minutes for reheating. Place the crab legs in a microwave-safe container and add 1 tbsp. water per 8 ounces of crab legs. Microwave for 3 to 4 minutes on high per 8 ounces. Serve with clarified butter and lemon wedges. Place the steamer on heat and let the water in its pot come to a boil. Add crab legs and cover. Upon being heated, you can smell the crab legs. Or you can break open the crab with kitchen shears and check if the meat is heated. Arrange the crab legs in shallow baking pan. Add hot water to fill the pan about 1/8th inch. Cover tightly using aluminum foil. Bake at 350 degrees F for around 7 to 10 minutes. Add king crab legs to your party menu and enjoy them with your friends.